The plan for closing California’s last nuclear plant slashes a proposed budget for worker retraining—and has “no explicit provision” for zero-carbon replacements. Regulators did not rule in line with a stakeholder settlement. California regulators have approved a plan to close Diablo Canyon, the state’s last nuclear power plant, that has environmental and clean energy groups, local communities, and even utility Pacific Gas & Electric crying foul over the results. On Wednesday, the California Public Utilities Commission approved a plan for PG&E to close the Central Coast plant by 2025, and recover $241.2 million in costs to pay for it, mostly expenditures associated with paying employees to run the plant through its closure. That’s half the amount of money -- $448 million -- for worker retention, retraining and community support that PG&E, the Natural Resources Defense Council, unions and community groups agreed on in a joint agreement that opened the discussion of Diablo Canyon’s closure last summer. The CPUC’s proposed decision, which first emerged in November, made drastic changes to this joint agreement, including halving its employee retention and retraining budget. It also cut completely an $85 million Community Impact Mitigation Program for San Luis Obispo County, local cities and the school district to partially offset lost tax dollars and job cuts to come, citing the “absence of express legislative authorization, although PG&E may choose to use shareholder funds” to support it. The proposed decision, which was roundly decried by community groups, clean energy advocates and PG&E alike, also cut a proposal for a 53 percent increase in PG&E energy efficiency programs. Those programs are expected to make up a huge portion of the resources being sought to replace Diablo Canyon. Finally, it fails to mention a key promise of last summer’s compromise -- replacing the 2.3 gigawatts of always-on power that Diablo Canyon provides the regional and statewide grid with zero-carbon resources. Since nuclear power doesn’t emit carbon, adding anything else would add to the state’s greenhouse gas burden. But according to Ralph Cavanagh, NRDC’s energy program co-director, the order approved by the CPUC makes “no explicit provision” for this promise in its text. 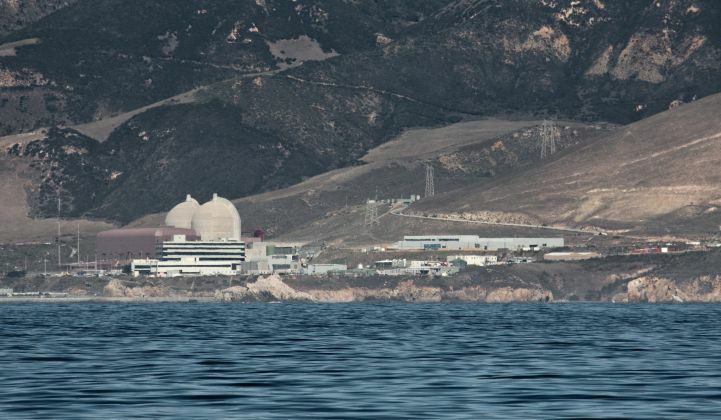 Instead, it relies on a statement of “intent of the Commission to avoid any increase in greenhouse gas emissions resulting from the closure of Diablo Canyon,” which lacks the force of a guarantee. Closing Diablo Canyon and replacing it with major efficiency gains, new solar power, and other distributed energy resources should save PG&E ratepayers at least $1 billion compared to keeping the two reactors running, according to NRDC. PG&E issued a press release saying it was “disappointed” in the decision to reduce its employee retention, community impact mitigation and energy efficiency programs. Still, it was appreciative that the CPUC increased the amount of funding for employee retention beyond their original proposed decision, which set the figure at $168 million. “PG&E will be meeting to confer with our labor, community and environmental group partners in the days ahead about the decision, our next steps and the path forward," the utility stated. Clean energy advocates were hoping that the Diablo Canyon closure plan would avoid the same outcome as Southern California’s San Onofre nuclear power plant, when it was forced to close in 2013. In that case, the CPUC did instruct Southern California Edison and San Diego Gas & Electric to seek out a large portion of the replacement from zero-carbon resources, including hundreds of megawatts of distributed energy. But it also allowed both utilities to add hundreds more megawatts of natural-gas-fired power plants, angering clean energy advocates who had pushed for more zero-carbon alternatives.